Ten chefs who elevated Greek cooking and Greek ingredients and helped put Athens on the global food map. Who he is: Peskias was born and grew up in Cyprus, studied business management at Boston University in the US and moved to Greece in 1991. He was trained by Ferran Adrià and Mark Menaux, among others, and became one of the youngest celebrity chefs in Greece and, in turn, an excellent teacher to many younger and now-acclaimed chefs. When he ran the kitchen at Restaurant 48, it made it into the list of the world’s Top 100 for two consecutive years. Now he is at Balthazar, a modern multi-ethnic restaurant. Contribution: He has been cooking for 25 years, somewhat eccentrically but definitely deliciously. He considers humble ingredients such as yoghurt, cheese, sardines, anchovies, figs, grapes and olives as treasures with which the right chef can work magic. Favorite ingredients: He loves cooking with tomatoes, filleting them, making sauces and using all the juices, reveling in their sweetness and acidity. Must try: Greek sea bass sashimi with bottarga, tomato water, tomato heart, olive oil and toasted bread. Who he is: Lazarou has been building a reputation as a master of seafood since 1986, when he opened the first Varoulko restaurant, soaring above his humble beginnings as a galley cook on ships. He has supervised the menus at dozens of restaurants and is now anchored at the Mikrolimano Harbor in Piraeus, running Varoulko Seaside, a temple of creative seafood. Contribution: He is a true master of fish, preparing it skillfully whether it is roasted, grilled, boiled or fried, and flavoring it simply with tomato, wine, garlic, parsley or basil. His dishes don’t contain any frills, unless it’s a perfect sauce, at which he is also a deft hand. Who could have thought that the innards of red mullet could contain such flavor? His spaghetti with grouper, his fish pie, and his calamari with pesto are signature dishes that have helped transform contemporary Greek seafood. Favorite ingredient: He likes experimenting with fish innards; he’s especially fond of liver, which has an intensely compact flavor. 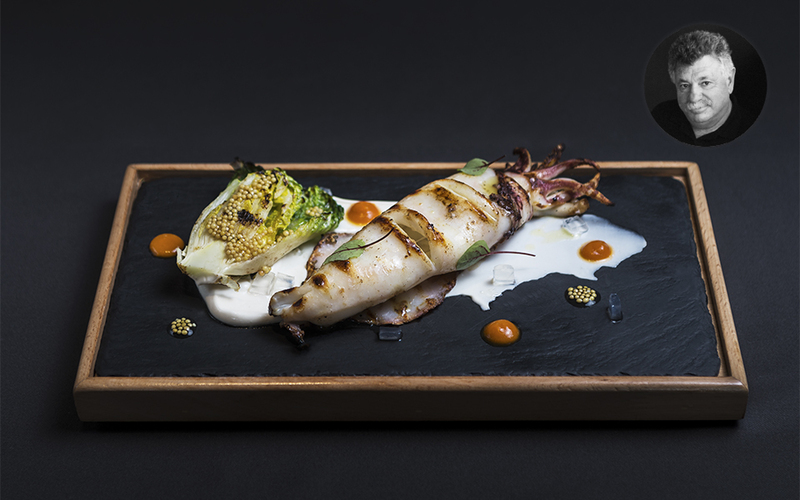 Must try: Grilled calamari, fished in Greek seas, with a cream of fish roe and grilled lettuce. Who he is: The chef de cuisine at Cookooovaya, Pavlidis manages a team of five chefs. He has held leadership roles in many famous Athenian kitchens, but the most important chapter that launched his career was training beside Evi Voutsina, a sage of Greek gastronomy, a prolific cookbook author who created a unique record of the country’s cuisine by traveling, tasting and discovering. Later a close friend, Evi was the one who taught him all about the hard-to-find ingredients and long-lost recipes that later shaped his signature style. Contribution: Very much a father-figure in the kitchen, he has guided the team into redefining the philosophy of traditional Greek cuisine, showcasing the qualities of olive oil, cheeses from cottage farmers, pies baked in a wood oven and classics in their most pristine version. From pulses, wild legumes and his forte, game, his food is voluptuous, succulent and fresh, with no ingredient left out of the limelight. 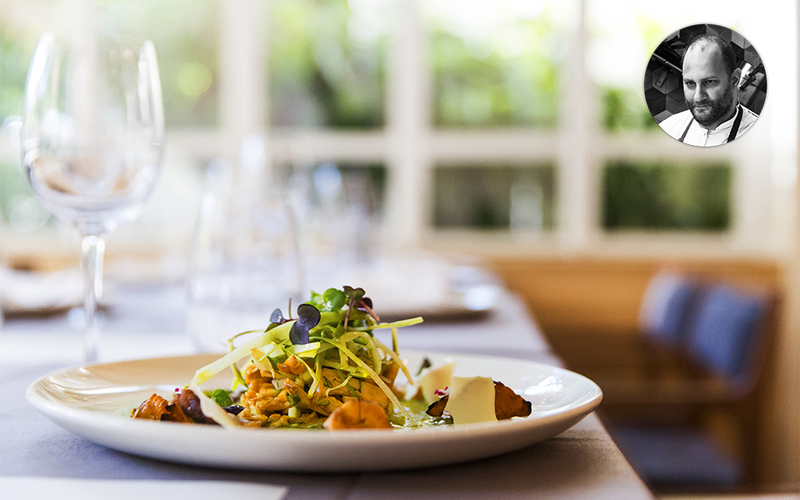 Must try: Salad with fresh, grilled Greek chanterelle mushrooms, asparagus and smoked cheese. Who he is: He grew up in a village in the Alps, studied as a chef, traveled a lot and worked beside a few very important chefs, including Roger Vergé in Lyons, and at Landhaus Scherrer in Germany as well as at luxury hotels in Venice, Milan, Tokyo, Moscow, Mumbai and Miami. He came to Greece in 1990 to work at Boschetto, an amazing Italian restaurant that soon became a hit with the country’s elite. Having passed through many kitchens, he is now at the restaurant in the garden of the Athens Concert Hall, Mama Fuga. Contribution: His food is always heartfelt, a condensed hit of the flavors that define the Mediterranean. He believes – and proves – that the fish of this sea have significant advantages over their ocean cousins, as do the region’s truffles and alpine mushrooms. As a person he is extremely affable, yet his cooking is bold and full of character, so that even the simplest-sounding dishes are packed with flavor. Favorite ingredients: He loves cooking with mushrooms and trying different cheeses. Must try: L’insalata greca di Damiano with melon, watermelon, cucumber, arugula, shrimp and a yoghurt sauce. Who he is: He grew up in the town of Thiva (Thebes) in Viotia, studied as a chef at a private college in Athens and continues to educate himself with stints at Michelin-starred kitchens abroad. He is inspired by Arnaud Bignon, Thomas Keller, Brett Graham from The Ledbury and Heston Blumenthal, and has been the chef for the past five years at Aleria. Contribution: He showcases his ingredients in skillful combinations to present dishes of contemporary creative cuisine, which he has been faithfully representing for the past decade. Many of his dishes star the Mediterranean staples of tomato, basil and olive oil. 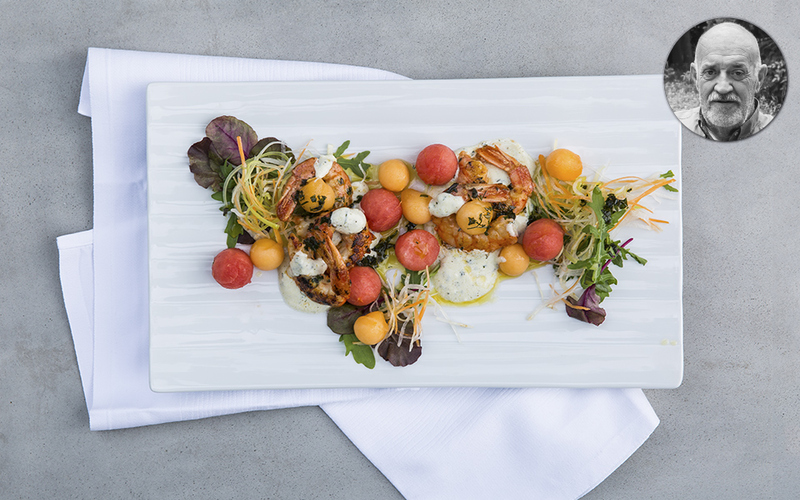 Must try: The crème brûlée made with feta cheese, marinated lime and fennel, and the watermelon squash with wasabi and pickled watermelon rind. Who he is: He was born in Thessaloniki, where he also studied to become a cook. He spent three years as chef de cuisine at Vardis (from 2009 to 2011), where his food was awarded a Michelin star, and has now been appointed executive chef of the Hotel Grande Bretagne, on Athens’ Syntagma Square. Contribution: Moderate and sincere, he is dedicated to products with a Mediterranean heritage and knows how to make them shine. His food is simple, with a lot of seasonal vegetables and fish, prepared with solid technical skill. He is particularly proud of his use of Greek herbs, which he says help balance his dishes and allow the other ingredients to show off their best attributes. “Oregano and lemon is a typical example of a flavor combination that stays with foreign visitors to this country,” he says. Favorite ingredients: He loves all citrus fruits for their rich aromas, their bitter, sweet and acidic flavors, and uses them in soups, ice creams, sorbets, sweets and, mostly, seafood dishes. 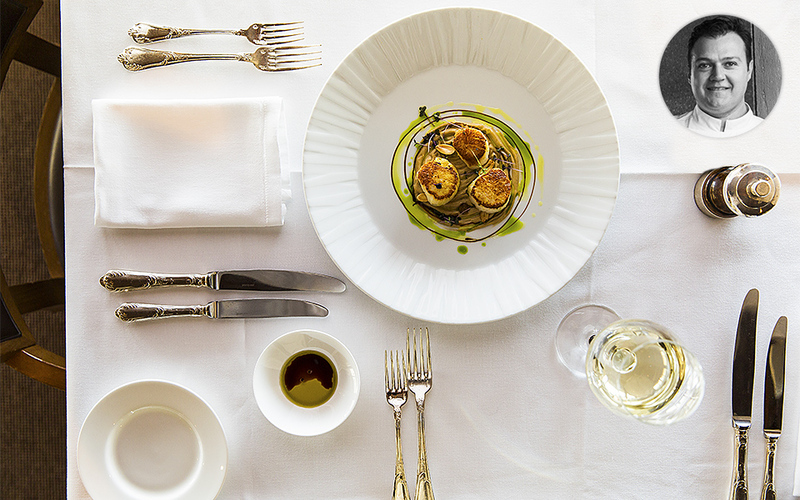 Must try: Grilled scallops with a puree of cauliflower, raisins, almonds and curry. Who he is: A Greek-Japanese economist, he gave up a career in banking to pursue his passion for cooking. He studied alongside pioneering Greek chef Christoforos Peskias and worked at, among other places, Geranium in Copenhagen, The Ledbury in London and Nobu Matsuhisa. This year he is also a panelist on the hit TV show MasterChef Greece. 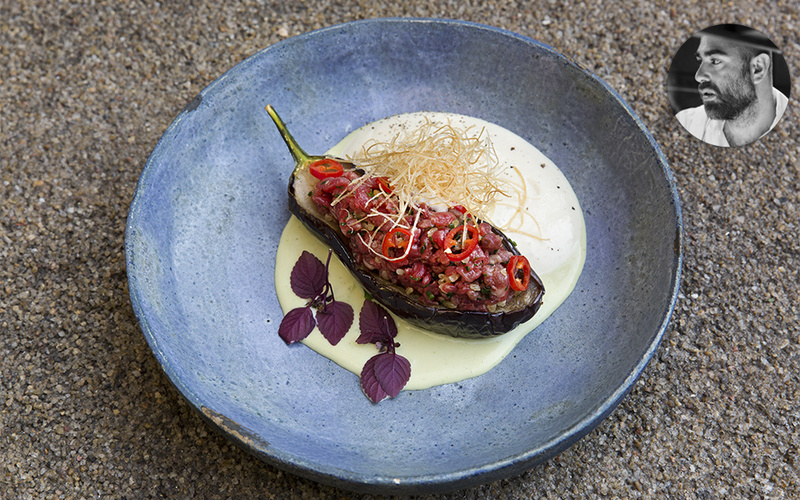 Contribution: He serves a fascinating and fresh version of Greek-Japanese cuisine at Nolan, a unique Athens restaurant. 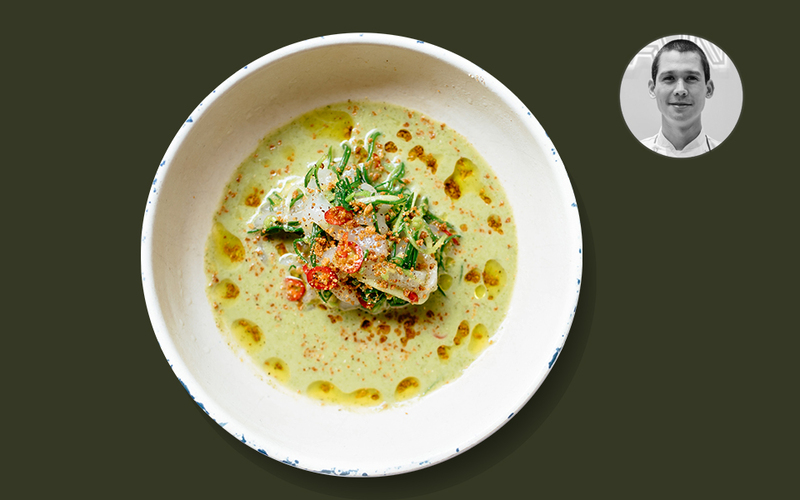 In his dishes, you’ll find fresh Greek fish, lemon, cilantro, a lot of acid tones and olive oil. He considers trachanas (a grain-and-milk-based dish) an excellent and complete meal. 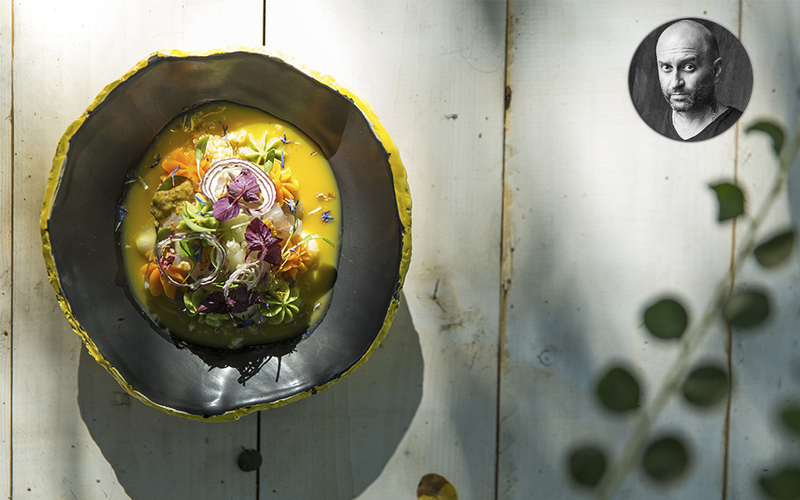 Must try: Fricassée of bogue or greater amberjack ceviche, cured in the juice of citrus fruits and chili, and served with a thick white sauce. Who he is: He was born and raised in New York to emigrant Greek parents. He’s self-taught and defines himself as a chef/butcher. 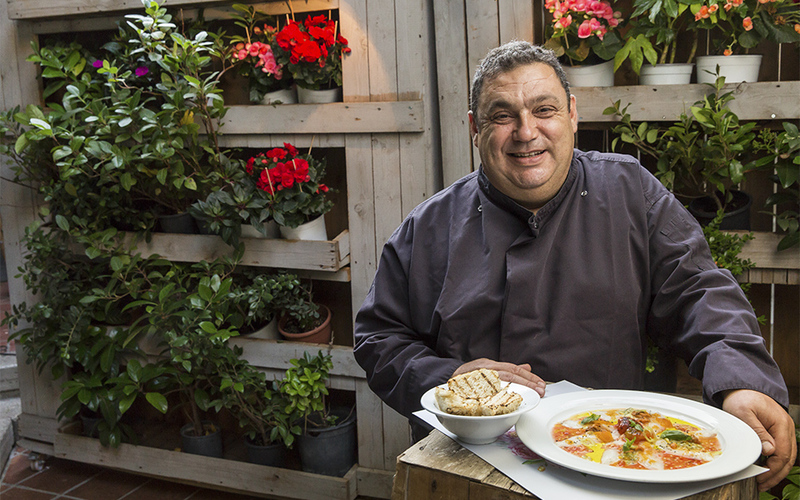 He’s also the owner of the Greek bar-bistro Vezene in Athens. Contribution: He was among the first to acquaint Athenians, many years ago, with global trends in aged meats and out-of-the-ordinary cuts and breeds. A Vezene meal is an experience; nonetheless, he claims to cook just as he would for his family. A fan of contrasts, he does a lot of surf-and-turf and cold-hot combinations. Must try: Pasticcio with beef tartare, a powerful dish that stands out for its masterful combination of raw and cooked ingredients. Who he is: He grew up in Athens and studied physics before donning his chef’s apron and visiting Japan from July to September 2014 to learn the secrets of sushi. Those three months were enough for him to return and open an excellent sushi bar in Athens called Sushimou. Contribution: He uses Greek fish that are largely overlooked and does not settle for the same basic ingredient; instead, he fillets whatever he finds at the market that looks appealing, which is why the menu changes every day. You’ll be pressed to find such a variety of fish in sashimi and at such affordable prices anywhere else. 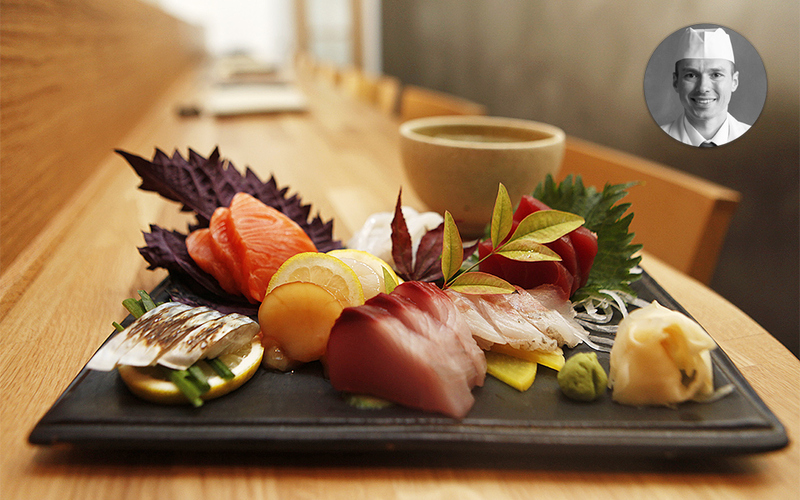 Must try: Sashimi with Greek tuna, eel nigiri and the entire spine of the fish fried with its skin. Who he is: He studied to become a chef in Athens and then set off for the Canary Islands and Spain to learn alongside some of the greatest chefs of the Iberian peninsula. While there, he persistently sent his resume to El Bulli every day, until he was finally let into the kitchen, where he learned beside Ferran Adrià. Shortly afterwards, he opened his own unconventional, somewhat offbeat 25-seat restaurant in Tenerife, where he blasted out heavy-metal music. He has also worked at Nihonryori RyuGin in Tokyo, the amazing Le Pavillon Élysée – Lenôtre in Paris and Dos Palillos in Barcelona. 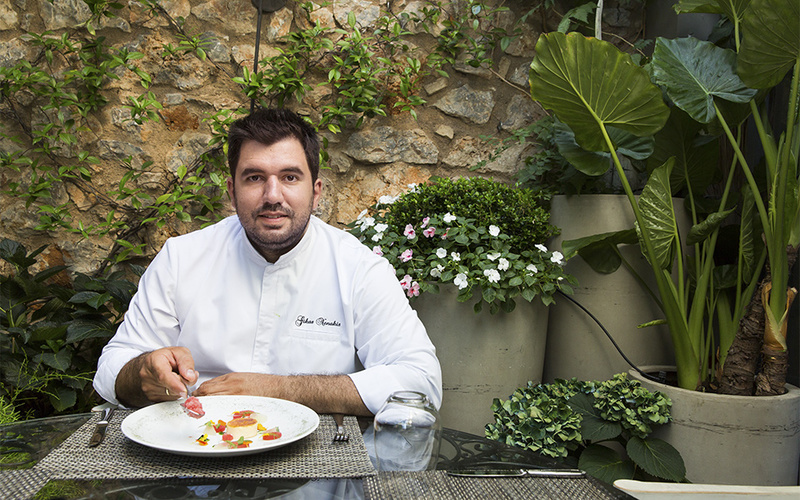 He is now chef at Athens’ La Pantera Negra. Contribution: He made Peruvian cuisine trendy and Nikkei sushi famous across Greece. In his food, you’ll find compact flavors, bizarre stocks, tiger milk and a lot of chutzpah. Favorite ingredient: Trikalinos bottarga (protected designation of origin). Must try: Ceviche with sea urchin eggs, tuna belly, caviar, lime and ajo blanco garlic paste with pistachios.